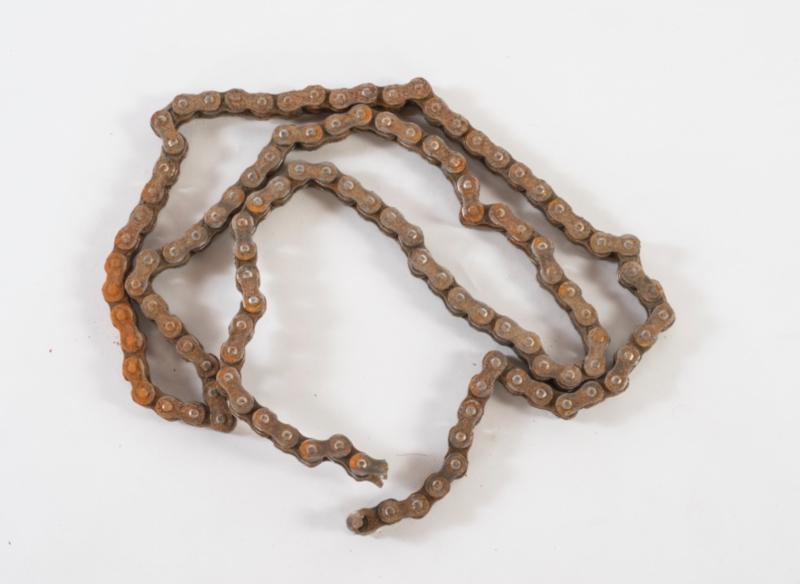 When your chain is abused, a crucial cog in your machines performance and safety is compromised. Hello sir. I just need some info from you. When is it time to change my chain? I’m out of adjustment on the swingarm and also wonder if I can just take a link out of it and then everything would be cool? Hey Herb, I’m totally fine with hacking a chunk of one of the most crucial segments of your highly evolved machine and hope that everything would be copasetic. Do not make stupid decisions concerning the driveline on your machine! 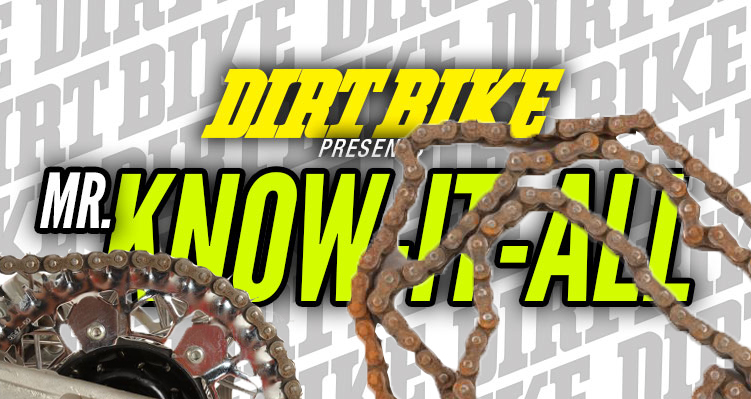 Take care of your chain, clean and lube it properly, keep the correct chain tension and replace this crucial link to the performance of your machine when it wears. 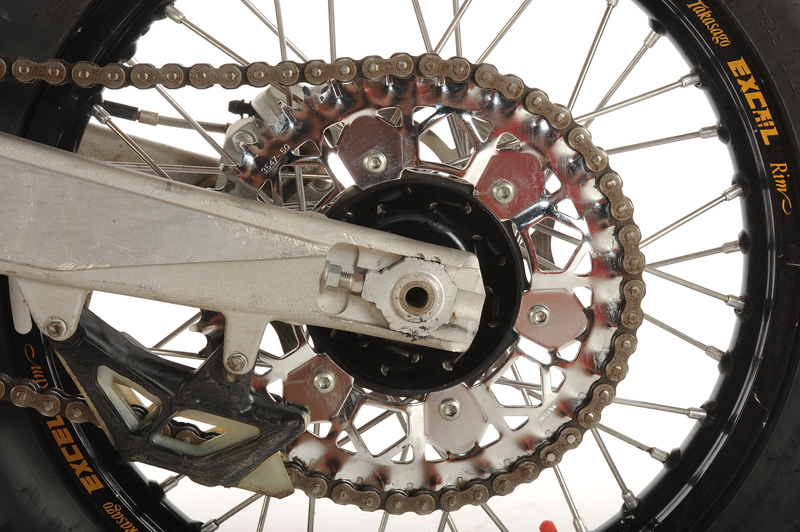 This means inspecting both the countershaft and rear sprocket for wear patterns, premature hooking and cracks. A good rule of thumb is when your rear sprocket hooks, its time for a new driveline. 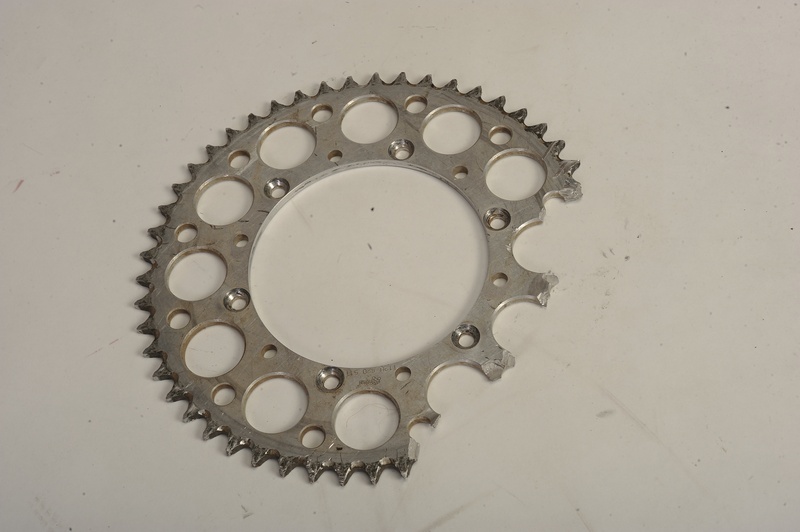 Overly worn chains can lead to sprocket failure. A fresh drive system will keep your axle running about the middle of the adjustment range and allow your machine to safely reach its full performance abilities.